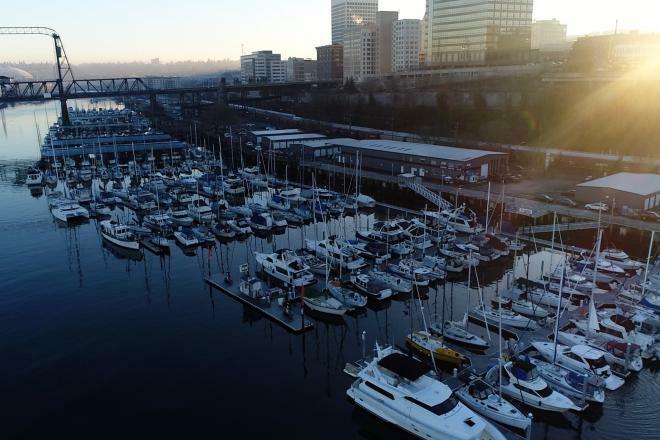 Welcome to Freedom Boat Club of Tacoma! About Us Freedom Boat Club Tacoma is a private boating club allowing all members full access to a fleet of boats. We are part of the largest boat club in the world with over 175 locations across the US, Canada and Europe for members to enjoy. As a local franchise, we are family owned and operated and look forward to helping you get out on the water! We opened the first south sound club in Tacoma on August 12, 2017 and have received an amazing reception from the community. Our Tacoma Fleet 9 Boats; all brand new. Ranging from 19-25 ft. we have a Northwest Aluminum Fishing Boat, a Campion Cuddy Cruiser, a Four Winns Bow Rider, a Sweetwater Pontoon Boat, and a Merry Fisher/ NC Sports Pilot House. We have 2 new boats arriving this spring which include a Regal 21' OBX and a Defiance 220EX Admiral. About Foss Harbor Marina Bathrooms,quick shops, restaurants, kayak rentals, and more all within walking distance from the marina. Close to dozens of wildlife and marine state parks. Located along the beautiful, historic Thea Foss Waterway. 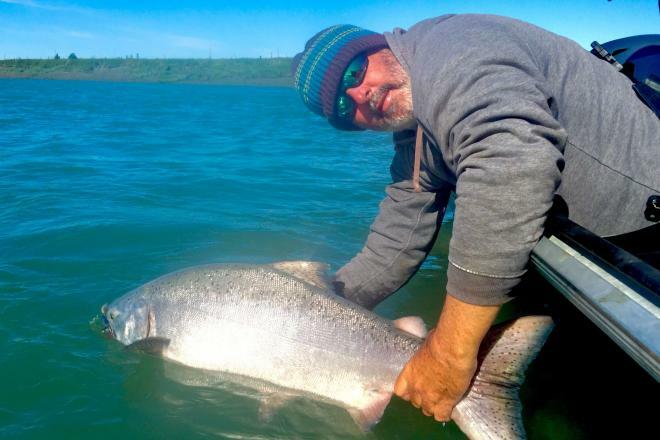 About The Pacific Northwest Here in the Great Pacific Northwest we get beautiful warm springs and summers, sprinkling falls perfect for fishing, and chilly winters. All seasons great for boating. Take our bow riders or cuddy cruisers on a hot day. When you aren’t sure if the weather will be good or turn bad use our versatile pontoon that can go from a party boat, to a fully enclosed, weather proof floating living room. Head out early on a calm morning in our speedy aluminum fishing boat, get to your favorite fishing spot in minutes, and comfortably with the hydraulic suspension seating. Cozy up on our pilot house in the winter, blankets and sweaters on the couch. 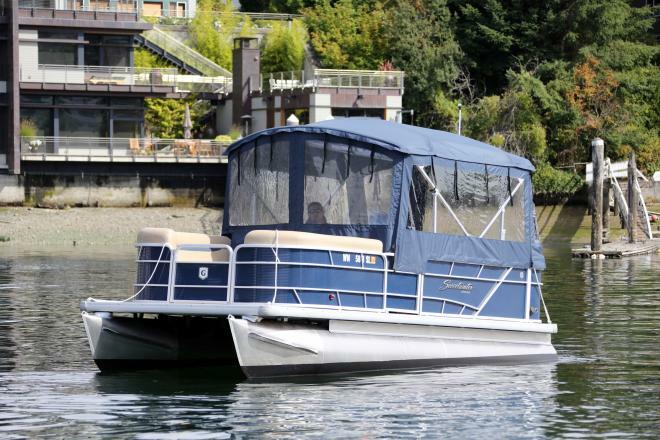 Whatever your needs, we have a boat perfect for you and the beautiful Pacific Northwest weather! The PNW also offers a large variety of abundant state parks. The Puget Sound is full of state and county parks, many of which can only be accessed by boat. Checkout some of our favorite spots such as Eagle Island Marine State Park, Dockton Park, Blake Island Marine State Park and Jarrell Cove Marine State Park. 1 A short stroll down Dock Street lands you at The Foss Waterway Seaport, which is Puget Sound’s maritime heritage, education and event center where families, groups and communities come to discover, explore, work and play. 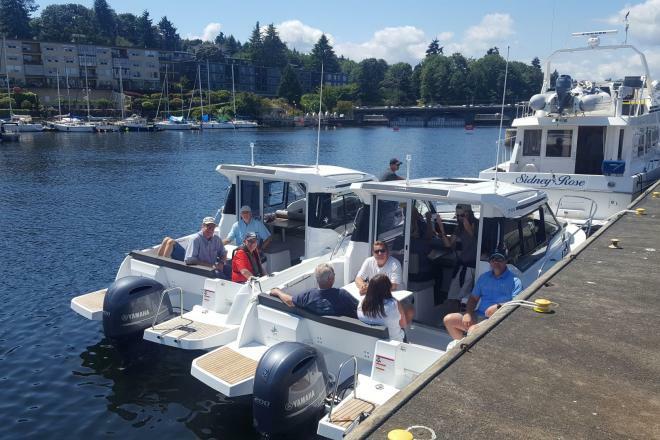 2 Head over on one of our five amazing boats down to Point Defiance to enjoy a walk along the beach, through the zoo, or through one of their beautiful parks such as the flower garden. Only a 15-20 minute boat ride away. 3 Just a few docks down, enjoy the incredible Museum of Glass right on the water. With extensive exhibitions and collections, as well as live glass making, it is sure to be fun for the whole family. 4 Up the street, across from the Tacoma Dome, you can find the LeMay Car Museum. With racing simulators, over 350 different cars, and exhibits ranging from 2018 exotic supercars, to some of the first Model T cars... this is a car lovers dream. Foss Harbor Marina is a full service Marina located in Tacoma, Washington. The Marina offers year round boat slip rentals, live aboard moorage, boat storage, kayak and Stand up Paddle board (SUP) rentals. They also offer storage lockers and a fuel dock.